I was recently in Portugal and I had the most amazing pea soup in Lisbon at the TimeOut Market. I had never tasted a pea soup that was so fresh, simple and flavorful. I came back from Portugal with a mission to recreate it! I really wanted the full sweetness of fresh peas to come through, so this recipe is again… super simple and nutritious. Vegan pea soup for the win!!! I love fresh peas but I don’t care for shelling them. So much work for so few peas! I recommend using the Trader Joes fresh English peas… the only bummer is they’re not organic. Obviously organic is preferred, so feel free to swap out fresh for frozen. Peas are a great source of vitamins and minerals. According to the WHfoods, “Green peas are a very good source of vitamin K, manganese, dietary fiber, vitamin B1, copper, vitamin C, phosphorus and folate. They are also a good source of vitamin B6, niacin, vitamin B2, molybdenum, zinc, protein, magnesium, iron, potassium, and choline.” Also, just one cup of peas has 8 grams of protein! So many reasons to eat your peas. I guess mom was right. LOL. In a medium sized pot, over medium heat, add your oil and shallots. Saute the shallots until soft. Add vegetable broth and peas. Bring to a boil and then drop back down to a simmer. Cook until peas are just soft, but not mushy. 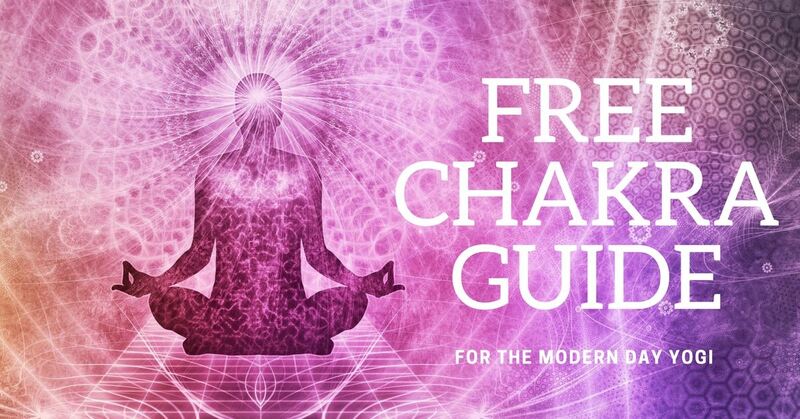 Transfer to a blender and blend away. Transfer back to your pot and season with salt and pepper to taste. Top your soup with your favorite toppings. I like to add microgreens and croutons… my husband likes to add pancetta. I love the Autumn and Winter seasons because I love slurping on a delicious bowl of warm soup. Last week I was craving broccoli soup, but it seems most of the broccoli soups out there are dairy-rich. In lieu of destroying my gut, I made this super nourishing vegan spinach and broccoli soup. The spinach lends a bit of sweetness to the soup, while the broccoli lends a bit more body. This soup turned out so great that I have to share it! In a large pot, over medium heat, add a splash of oil and leeks. Saute leeks for 2-3 minutes, add celery and garlic and saute another 3-4 minutes. Add your vegetable broth and broccoli. Bring to a boil and then drop down to low heat and simmer until the broccoli is tender. When your broccoli is tender add your spinach and stir. Transfer the soup to your blender and blend until desired consistency. Add more broth or warm water if it is too thick. Garnish with the micro greens. This soup is ready to eat in under a half an hour… from prep to finished product, so it’s perfect for a nourishing weeknight dinner. 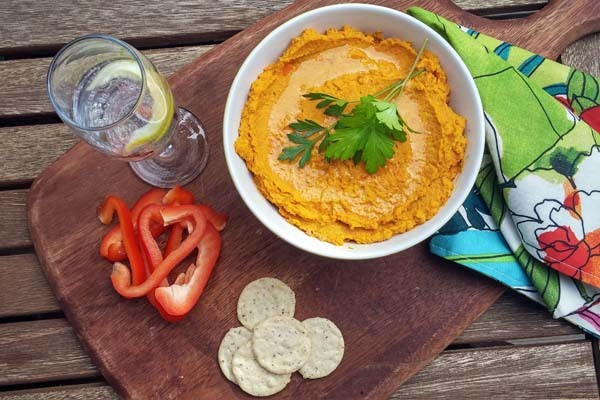 A few years ago I came across this AMAZING recipe for Morrocan Spiced Carrot Hummus on The Kitchn. The Kitchn is one of my go to websites for healthy recipe inspiration. 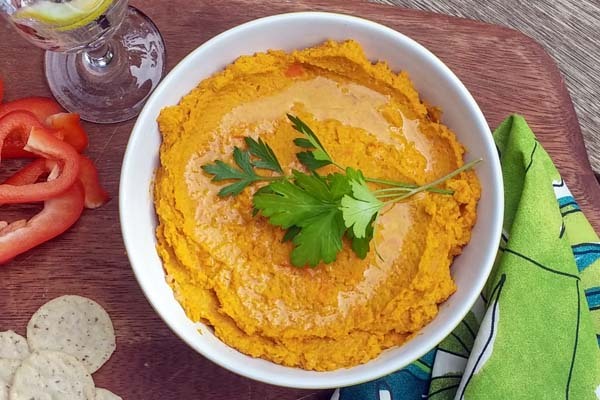 This healthy Moroccan spiced carrot hummus recipe is a crowd pleaser with it’s interesting mix of flavors, bright color, and healthy ingredients. This recipe is so good that I haven’t really explored making changes to it. I do typically use fresh ginger (the original recipe uses ground ginger) and I peel the skins off of the chickpeas, which is time consuming, but also kind of therapeutic and it makes the hummus creamier and easier to digest. I also tend to add a little extra of all of the spices. I’ve been a bit obsessed with Moroccan spices lately. 🙂 They’re just so good! On a lined baking sheet toss the chopped carrots and whole garlic cloves with half of the olive oil. Roast the carrots in the oven until tender and lightly browned. After about 10 minutes of roasting stir the carrots and garlic and then place back in the oven for another ten minutes. Remove carrots and garlic from the oven and allow to cool. Once cooled enough to handle peel the skins off of the garlic. In your food processor combine carrots, garlic, chickpeas, tahini, lemon juice, water and all of the spices. Begin to process your hummus and with the motor running slowly add the remaining 2 tablespoons of olive oil. Process until smooth. You may want to scrape down the sides at some point. If the hummus is too thick and you still have large chunks of carrot add a little more water or oil and process until the right consistency. Garnish with a cilantro or parsley sprig or two and serve with fresh veggies or crackers. Impress your friends with this tasty snack!